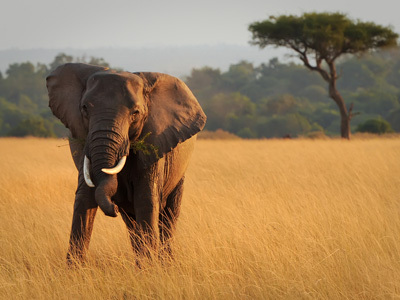 Eastern Africa is home to magnificent wildlife viewing opportunities, luxury lodges and unparalleled safari experiences. 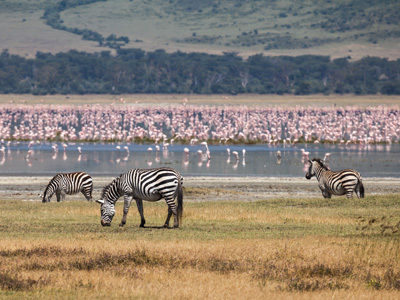 On this once in a lifetime safari, visit to the world famous locations of Lake Manyara, Ngorongoro Crater and the vast plains of the Serengeti, before crossing the border to Kenya and rounding out your trip with a visit to the Masai Mara and the Mara Triangle. Enjoy spectacular wildlife encounters during the day and lap in luxury at a unique selection of the region's premier lodges at night. Welcome to Tanzania! Arrive at Kilimanjaro International Airport, after clearing customs and Immigration formalities you will be met and transferred to your Lodge that is located in a working coffee farm just outside Arusha. 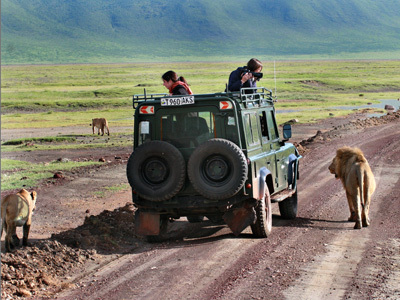 At a time convenient to you, you will depart from the park and make a two and a half hours' drive up the Rift escarpment, with a local school visit on the way to your lodge in the Ngorongoro Conservation Area. 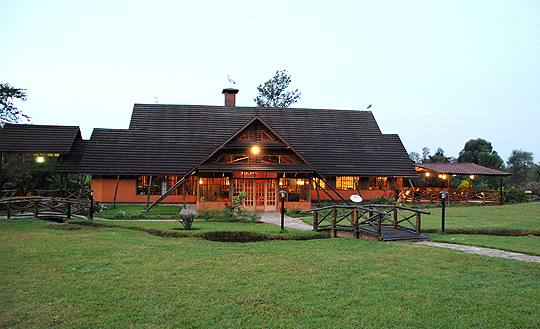 You will reach the Crater Lodge just as the sun begins to set giving you enough time to enjoy a cold drink or a hot cup of coffee while you take in the breathtaking views that surround you. After settling into your room, you can relax before enjoying your meal and drinks at the lodge. 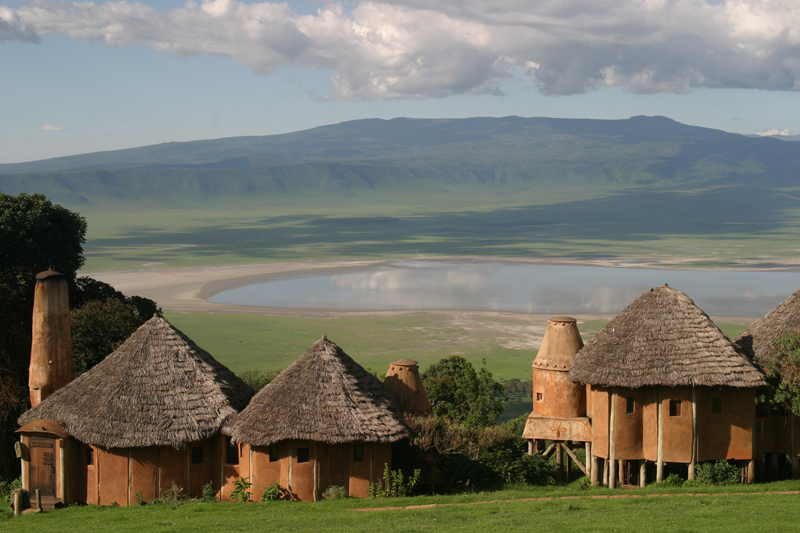 Get up early to make the most out of your day in the Ngorongoro Crater. Ngorongoro Crater is a deep, volcanic crater, the largest unflooded and unbroken caldera in the world, measuring about 20kms across, 600 meters deep and 300 sq kms in area. Other important features found in the NCA are the archaeological and palaeontological site located at Olduvai Gorge and the early human footprints that were discovered at Alaitole in Ngarusi area. Because of these particular features and the harmonious co-existence between wildlife and people that has existed for many years, Ngorongoro Conservation Area was accorded the status of a World Heritage Site. The high walls of the crater itself, serve as a natural enclosure for an abundance of wildlife. There is a large resident population of varied ground game with the very real chance of you being able to see the "big five'. Among the notable birds are Lammergeyer, Vereaux's Eagle and Egyptian Vulture, which make their home in the highest of the crater wall, the beautiful Rosy- breasted Longclaw, which appears on the plains after rains and flocks of lesser and Greater Flamingos which are spasmodic visitors to the crater lakes. Return to your lodge before dusk, and in time to freshen up before dinner. After breakfast and check out, you will meet your driver at the reception and from here it’s a short drive to the Manyara Airstrip. At this point you would say goodbye to your driver guide and board your scheduled service to the Grumeti Reserve in the middle of the Serengeti. 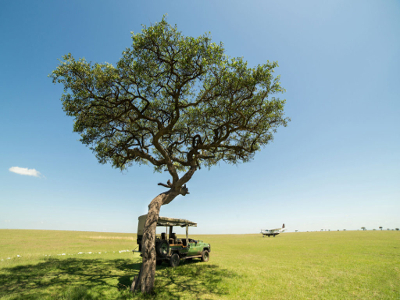 On arrival into the Serengeti, you will be met by your Camp’s safari vehicle and driver guide. It’s a short game drive to Singita Faru Faru Camp which built on a gently sloping hill, with close proximity to the Grumeti River and plains. On arrival you will be escorted to Reception, given a short safari briefing, before being shown your room. After lunch head out on your first game drive in the Game Reserve. 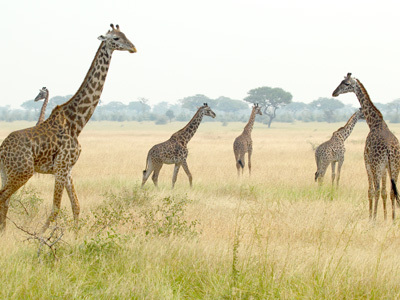 Grumeti Game Reserve covers 2,000 square kms of area. This reserve forms part of larger Serengeti Maasai Mara ecosystem, where by the annual wildebeest migration do take place between July and October. 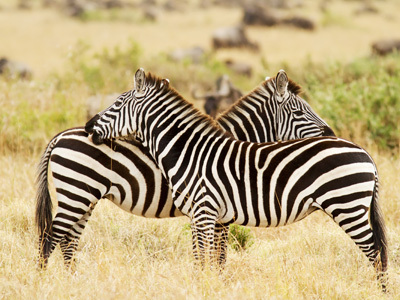 Grumeti game reserve is located along the North western border of the Serengeti National park. This provides a wide chance for various animals to come across for the purpose of searching water. This is where tourists have the chance to see the movement of huge herds of wildebeest and zebra and this describes the Serengeti/Mara ecology itself. Spend two full days looking for game while enjoying the magic that this Reserve has to offer. Early morning game drives are the best to catch the animals at their most active or just relax in the camp. Later, on your afternoon game drive, the chances to spot Africa’s famous Big Five abound, thanks to the park’s density of both predators and prey. After breakfast and check out, you will be driven the short distance to the Airstrip where you will board your scheduled flight to Tarime, near the Tanzania-Kenya border. Upon arrival at Tarime Airstrip you will be met and transferred to Migori Airstrip for a scheduled flight departing at 1215hrs to Masai Mara. On arrival at Ol Kiombo airstrip, you will be met by the smiling faces of your driver guide from the Camp and transferred to the camp which is a short drive away, in time for a late lunch. After lunch you have the chance of heading out to the Conservancy for a game drive, before returning to the camp in time for dinner. Your game drives will be in Olare Motorogi Conservancy, in the camp’s 4x4 vehicle which are open-sided with raised roofs. The Olare Motorogi Conservancy is 33,000 acres of outstanding natural that directly borders the Maasai Mara National Reserve. 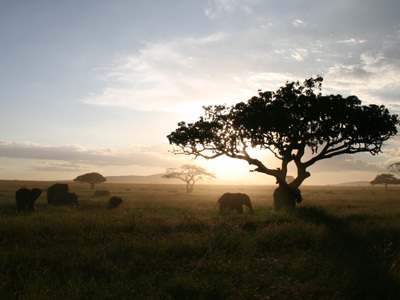 The conservancy ensures a true wilderness experience with one of the lowest tourist densities in the Mara region. The area is teeming with wildebeest during the migration season and there are several prides of lions and many elephants. Endangered species such as rhino and wild dog are also evident. The conservancy applies the concept of community conservancies to enable local communities to live in harmony with the wildlife whilst also benefitting from a source of income from conservation. 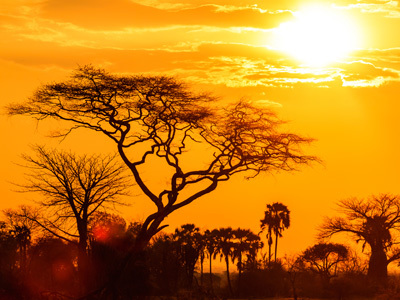 Mara Plains offers a wide range of activities – early morning, late afternoon and night game drives, authentic local village visits, wildlife walks and unrivaled access to superior wildlife habitats. The early mornings are one of the best times to view the animals as this is when they are their most active before the heat of the day sets in and after a mid-morning of relaxation and lunch, head out into the reserve again for a chance to tick off some more animals on your “must see” list. You can also opt to visit the Maasai homes (at additional cost). Night Game drive is included in the game package. After breakfast, you will be transferred to another Lodge on the north Western boundary of the Mara Triangle, the Angama Lodge. Lunch at the Lodge will be followed by a game drive in the Mara National Park. 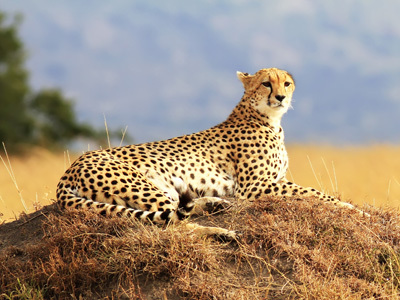 Masai Mara is one of Africa’s greatest wildlife reserves. Acacia dotted plains, tree-lined rivers and woodlands are abundant with wildlife and an array of birdlife. Game viewing is spectacular year round; you may see a pride of lions stalking their prey, observe a herd of elephant and their fascinating social structure, or see pods of hippo wallowing in the rivers. The great wildebeest migration is one of nature’s wonders; an estimated two million animals migrate in a year-round pattern through Tanzania and Kenya, following the rain. Around July each year the huge herds begin dramatic river crossings and the grasslands of the Mara are covered by a mass of moving wildebeest, offering easy opportunity for crocodile and predators that are never far away. When in the Mara visit a traditional Maasai village or take a balloon safari at an extra cost. Today you will have morning and afternoon game drives. The early mornings are one of the best times to view the animals as this is when they are their most active before the heat of the day sets in and after a mid-morning of relaxation and lunch, head out into the reserve again for a chance to tick off some more animals on your “must see” list. You can also opt to do walking safaris on the Escarpment, included in the game package. Today you will have a final morning Game Drive and lunch at the Camp. In the afternoon, you will be transferred to the airstrip for your flight back to Nairobi. Depending on your International flight times, you will meet your Albatros driver at the Wilson airport and transferred to Ole Sereni Hotel, before a later transfer to Jomo Kenyatta International Airport. However if you would like a beach extension to our wonderful beaches this can be easily arranged. If you have time to kill before your evening flight, there are some great excursions in Nairobi that you can book to make the most of your last afternoon in wonderful Kenya (at additional cost). Guests can be forgiven for losing track of which era, or even continent, they are experiencing at Ngorongoro Crater Lodge. Divided into three camps, 30 stilted suites with banana leaf ceilings and grass roofs provide an intimate and exclusive Crater experience. Each camp has its own sitting and dining areas, with private butlers who provide warm, personal service. Brocade sofas and Persian rugs invite you to re-live the day’s experiences around a roaring fire. The domed dining room, where sparkling silver and crystal vie for attention with the huge windows and awe-inspiring views. Nowhere else on earth can you wake up among all the trappings of an elegant baroque chateau - brocade sofas, gilt mirrors, beaded chandeliers and panelled walls - and be instantly transported into one of the most famous African landscapes with just one glance out the window of the lodge. In this place of dramatic contrasts, where Versailles meets Maasai, anything is possible and the natural beauty of the setting ensures the dramatic interior of your suite blends perfectly with its stilted thatch architecture. Singita Faru Faru Lodge is set in Grumeti in northern Tanzania, forming part of the Serengeti Mara ecosystem. Built on a gently sloping hill, this riverine lodge, positioned on the renowned migratory route, is a place where you can quite literally expect the unexpected. Informal, unconventional and surprising at every turn, Singita Faru Faru Lodge is a mix of contemporary, organic style and the quirky practicality of a traditional botanist's camp. With such close proximity to the river and plains, guests have the unique opportunity to experience a very close connection with the wilderness. This is a small, high quality, seven tented camp under canvas, located within the private Olare Motorogi Conservancy and just a few hundred meters to the north of the Maasai Mara National Reserve boundary. Guests can game drive in both the Maasai Mara National Reserve and the private Conservancy away from the crowds. It is a fabulous wildlife reserve of 30 000 acres, rich in wildlife (with all the predators and big cats in particular), with the lowest vehicle density in the Mara, no mini-buses and only one guest room per 700 acres. Angama Mara is defined from other safari lodges by its location on the northwestern boundary of the Mara Triangle, a place where the light never sits still. The lovely Swahili word ‘angama’, meaning ‘hanging or suspended in mid air’, inspired the name Angama Mara. 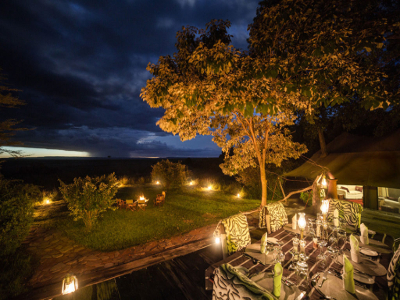 The site completely speaks to this, as each tented suite and guest area hangs on the edge of the Rift Valley, with views that quite simply take your breath away. Angama is divided into two 15-tent camps, each with its own central guest area. A pavilion shared by the camps has an infinity pool and a gym with a drop-dead view. 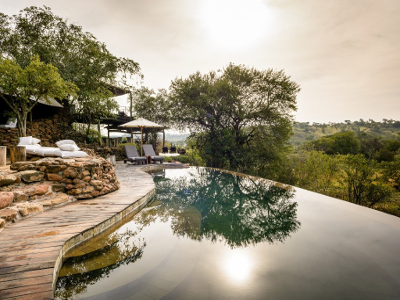 Angama Mara’s owner-managed approach is driven by the driving forces of flexibility and creativity where guests can get a quiet place and reconnect with the world again. The tented suites are reminiscent of a classical tented African safari with sweeping canvas and polished parguet floors. The lodge’s interiors are crafted with a totally fresh, disarming, uncluttered and humourous approach.